Spam Reader 3.7 - a spam filter for Microsoft Outlook® - uses the Bayesian approach to distinguish spam and non-spam messages. The main problem for anti-spam software is the correct spam recognition. Various techniques were developed and tried. But spammers quickly make them obsolete using even newer tricks. Fortunately, Reverend Tom Bayes, who lived in the 18th century, derived a formula for re-estimating the likelihood of a certain event in an experiment based on the results of this experiment. In the other words, suppose you are making some experiment in a "black box" and you cannot observe what is happening inside but you need to know some information about this. Given the results of the experiment you can use the Bayes formula to estimate the probabilities of some events happening inside the black box. How does the Bayes approach work? To realize the Bayesian approach it is necessary to have an initial message database that contains both spam and non-spam messages (approximately equally). The base is used for learning the spam filter: for every word appearing in those messages the number of entries in spam messages and in non-spam ones is counted. This number helps to estimate how often the word appears in spam and non-spam and to calculate the corresponding probability. As a result, for both parts of the message database there are lists that contain the used words with corresponding probabilities. The lists are used to estimate the probability that a new message is spam. When a new message is received the spam filter divides it into words and finds the words in both lists. Using the probabilities for single words from the lists and applying the Bayes formula the program estimates the probability for the whole message to be either spam or non-spam. The main advantages of a Bayesian spam filter. Possibility to correct filtering mistakes in order to avoid them in the future. 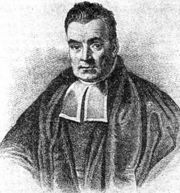 Who was the first to use the Bayesian approach? The inventor and the main promoter of the idea to use the Bayesian approach in spam filtering software is Paul Graham, an American essayist, programmer, and programming language designer. In 2002 he described a simple spam filter that used the Bayesian approach to estimate whether a piece of e-mail contains spam. Since then this approach has become very popular and inspired most current spam filters that use it as a part of the spam detection algorithm.